“Oh my gosh, my first two cavities! I don’t get it; I’ve gone all these years without a cavity. And I brush and floss every day. What in the world happened?” We hear this quite often and as hard as it is to believe, it’s not what you’re eating and not what you’re doing with your oral health care. Candy and cookies aren’t the only cavity culprits: tooth decay can actually be contagious. That’s because cavities result from bacteria hanging around in your mouth—and these germs can be passed from person to person. So perhaps, it’s who you’re dating – or rather, who you’re kissing. It’s a noted problem in young children; they can pick up cavities when, for example, their mothers taste their food to check the temperature. It’s also an issue among dating couples. There are instances, where a patient in her 40’s who had never had a cavity suddenly developed two cavities and was starting to get some gum disease. As it turns out she’d just started dating a guy who had very poor oral care habits. The best way to avoid a similar fate is to floss and brush often, and try chewing sugar free gum after your immediate contact, all of which are designed to stimulate saliva, which hopefully will rinse away the germs. Sandy Springs: Afraid of the Dentist? Women Are. “I haven’t smiled in years; I had a hard time meeting new people. It was time. I went to the dentist, and it was awesome! The dentist was kind and didn’t judge me for what my mouth looked like. She has a multi-specialty practice. Whether it’s Dr. Scheinfeld, Tourial or Lubell, they made me smile, and made me feel comfortable, they were all around awesome, and so was the staff! Why was I so afraid? It was so easy and painless.” We hear this quite often. 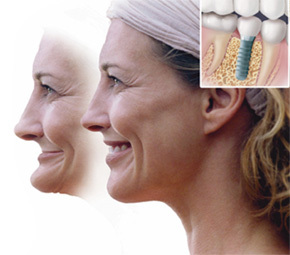 Dentist Sandy Springs: Implants Can Change your life! If you choose to have this procedure completed, you won’t regret it. It will improve your lifestyle and you will want to smile and eat with your new teeth. Scheinfelds, Orland and Tourial can correct your problem of missing teeth. For professionals you can count on, visit and contact us at www.rightsmilecenter.com. If you are a working professional or a parent or both, we know how difficult it can be to get regular dental care for yourself and the members of your family. If you are a parent, taking your children out of school for dental visits and scheduling around extra-curricular activities can be challenging. If your job is really demanding or your job doesn’t permit a lot of personal time, you may be hesitant to take time off to visit the dentist. If you are a small business owner or contractor, visiting the dentist during working hours means lost time and productivity and this costs you. Yet, we all know how important it is to our global health to visit the dentist regularly. Getting regular dental care including professional dental cleanings and checkups can help to ensure your long-term dental health, save you the time and money, not to mention the pain associated with serious dental health problems. And, with our population living longer, you are going to need your teeth for a very long time. In today’s busy world, the traditional office hours of 9am to 5pm simply do not work for many people. You need dental care that suits your schedule. That is why our customer-oriented dental practice in Atlanta offers extended morning hours on Mondays and Thursdays. With extended hours, working professionals and busy parents can schedule their appointments before traditional working hours. Offering these appointments also gives our dental practice more opportunities and more flexibility to handle dental emergencies. The Right Smile Center is available to serve the residents of Atlanta with preventive, general, restorative and cosmetic dental care. Please give us a call today at 404-256-3620 to schedule your appointment. 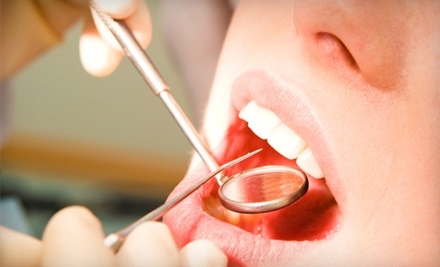 Does Poor Oral Health Cause Alzheimer’s? The negative effects of poor oral health on your overall health and quality of life have already been well-established. However, a new study suggests that poor dental health may also be linked to Alzheimer’s disease: a devastating illness that causes confusion, dementia and a variety of other symptoms. Researchers at the University of Central Lancashire School of Medicine and Dentistry recently published a study in the Journal of Alzheimer’s Disease where they examined brain samples from ten people who had dementia as well as brain samples from ten people who did not have dementia. 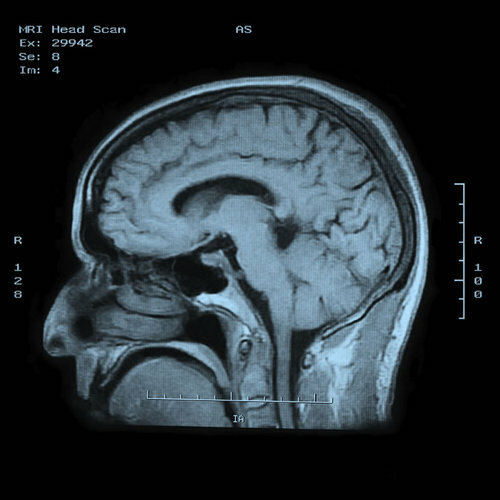 Examination of the brain samples revealed the presence of Porphyromonas gingivalis in the samples of the brains affected by Alzheimer’s disease. This type of bacterium is usually associated with chronic periodontal disease. The presence of Porphyromonas gingivalis in the samples of the brains affected by Alzheimer’s disease suggests that patients with poor oral health may be more at risk to develop Alzheimer’s disease than people with well maintained teeth and gums. This study, among others, highlights the importance of practicing routine daily oral hygiene and getting regular, preventive oral health care from your dentist. The best way to ensure that your teeth and gums remain healthy and free of periodontal disease is the tried and true brushing of your teeth at least two times per day and to floss your teeth at least once per day. Any additional measures such as using mouthwash or chewing Xylitol based gum are also encouraged. Getting regular, professional dental cleanings are necessary to help to remove the bacteria that can build up on the surface of your teeth, causing dental problems such as periodontal disease. For more information about the link between poor dental hygiene and Alzheimer’s or how you can decrease your risk of periodontal disease, talk to our in-house periodontist. Your consultation is complimentary and just a phone call away. See more at: http://www.rightsmilecenter.com or contact us in our office located in the heart of Sandy Springs. For over 25 years, Dr. Scheinfeld and her staff have been devoted to providing the finest quality dental care to Sandy Springs, Dunwoody, Roswell and other surrounding cities. They are proud of to being your preferred multi-specialty practice in Georgia. Here at Dr. Scheinfeld’s office, we are committed to your oral health. That’s why we’re committed to making every experience in our practice a positive one for you. Our highly trained multi-specialty team builds a foundation of trust that gives you comfort and peace of mind, not to mention the right smile. And because we believe nothing is more important than your health, we take the time with each and every patient to educate them on the key points to healthy teeth and gums. As trained experts in creating beautiful smiles, the Right Smile Center, its hygienists and staff are available to transform an ordinary smile into something functional as well as extraordinary with our comprehensive menu of dental specialties – ranging from routine cleanings, oral exams, to teeth whitening, veneers, crowns, periodontics, dentures, and in-house dental implants. We pride ourselves on keeping up with the latest trends in dental technology so we can provide our patients with the most advanced equipment and treatments available. Yet we also pay close attention to prescribing only the most conservative and tested dental treatments for your care. As Atlanta’s premier destination for bright, beautiful smiles – the right smile – we are proud to extend our leading-edge dental expertise to our community. Our door is open to patients of all ages with new patients are always welcome! We look forward to seeing you! Feel free to call or email us for a complimentary consultation. We have one goal for all of our patients, a natural smile, the right smile. A prosthodontist is a “true cosmetic dentist.” With three years of rigorous specialized training in prosthetics in a university residency after completing dental school, Dr. Scheinfeld has a special understanding of the right balance between art and technique in the dynamics of a smile. Prosthetic or restorative dentistry is a specialty that focuses on cosmetic and functional reconstruction of missing, broken or discolored teeth. While Dr. Scheinfeld’s training includes complex dental needs, her team of experienced dental providers also handle the general dental care everyone requires. She acts as the quarterback of the dental procedures from start to finish. After a careful assessment each doctor will design your personalized treatment plan, which will result in beautiful, predictable and successful results. A beautiful radiant smile can be just a few visits away. As a multi-specialty practice we provide in-house endodontics, periodontics, implant placement and restorative prosthodontics. Call Today and Schedule Your New Patient Appointment or contact us at www.rightsmilecenter.com!